This book is a poster book. It brings the beautiful pictures of Animalium to your home. The pages are perforated for easy removal and can be hung as any poster. The book is oversized to make the posters larger. The front side of each poster is in color and the back side is in gray scale of the same picture. The illustrations are beautiful and scientific. They are more of what you might see in a museum or possibly a science book. They are beautiful and would be wonderful for a classroom or home. Our next book is also a poster book. 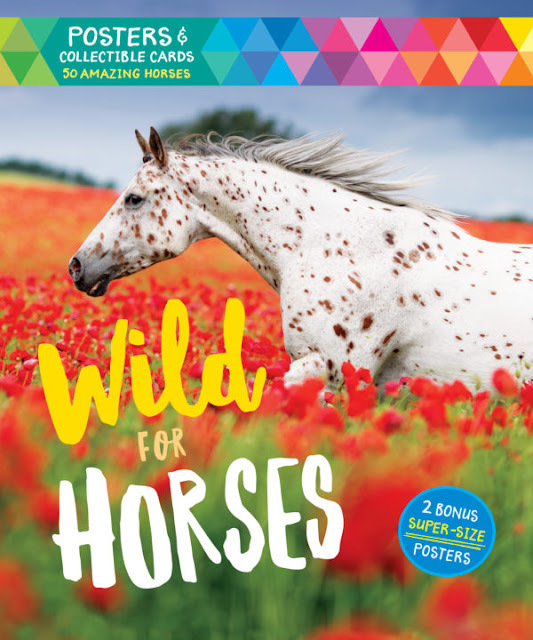 This book is Wild for Horses and is put together by the editors of Storey Publishing. This book is full of beautiful photographs of horses of all varieties. On the back of the posters is information about the horses in the photograph on the front. The pages are easily removed as well. This book is perfect for any horse lover!! I could see a tween hanging the posters in her room. Most of the posters are 10 x 12 inches. There are two posters that pull out to three or four pages. 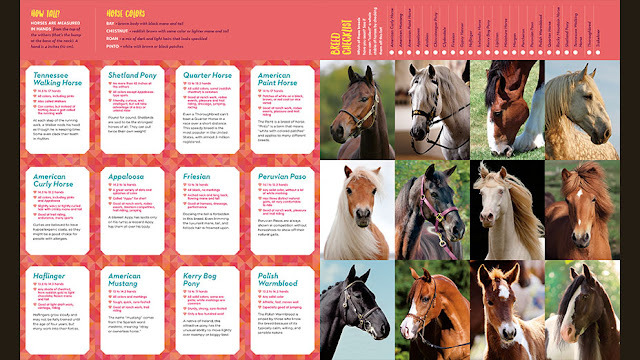 At the end of the book there are also two pages of flash cards of the various types of horses. 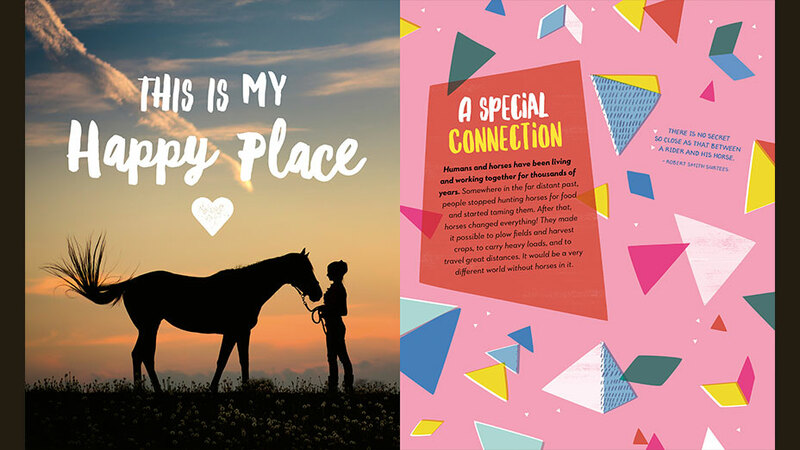 Do you have any horse lovers in your life? I am sure they will love this book. Our next book is a seek-and-find board book with flaps. Hazel loves these kind of books even though she is getting old for them. The story starts in the early morning and goes through the day until night. The forest has many different types of animals that you may find in jungles, rainforests and more. The words on the page lead the reader to look for the hidden animal under the flap. 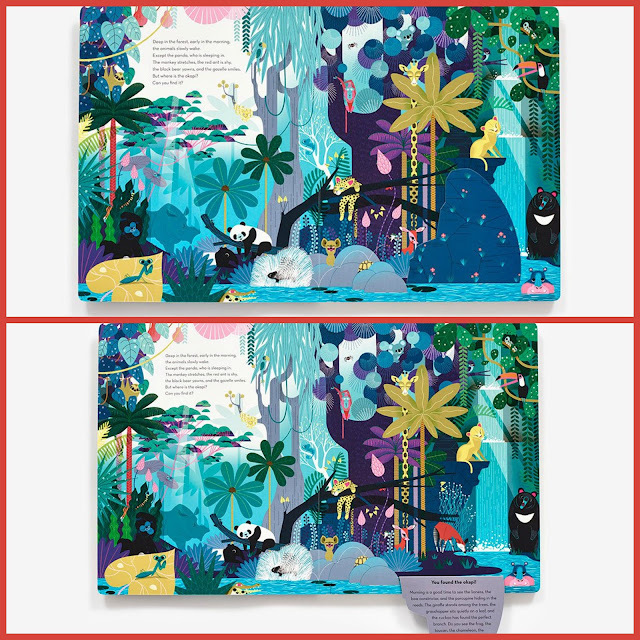 Then the flap gives even more animals to find on the page. 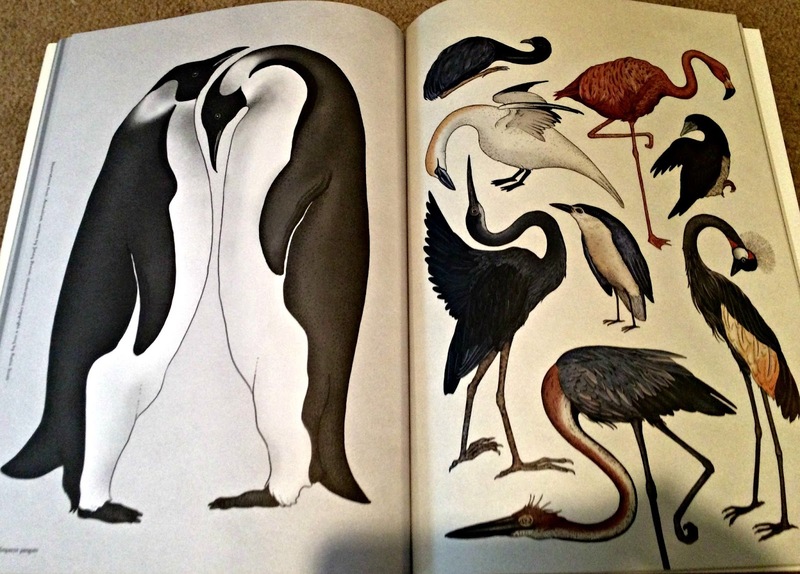 Each page does this until the last page where there is no flap and all the animals are about to go to sleep. It ends with "Good night." The perfect ending to a long day and for bedtime. Our next book is a board book. This is perfect for those young learners. 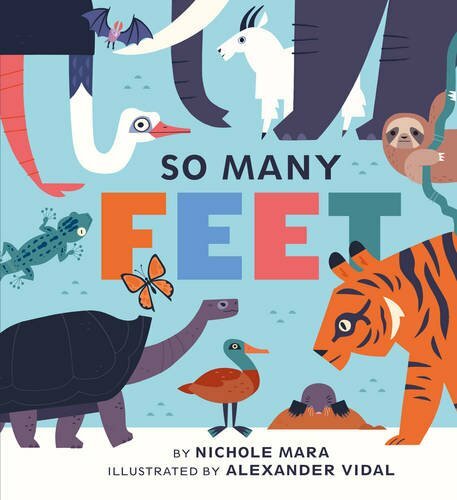 It is So Many Feet by Nichole Mara and illustrated by Alexander Vidal. It is not being released until May. 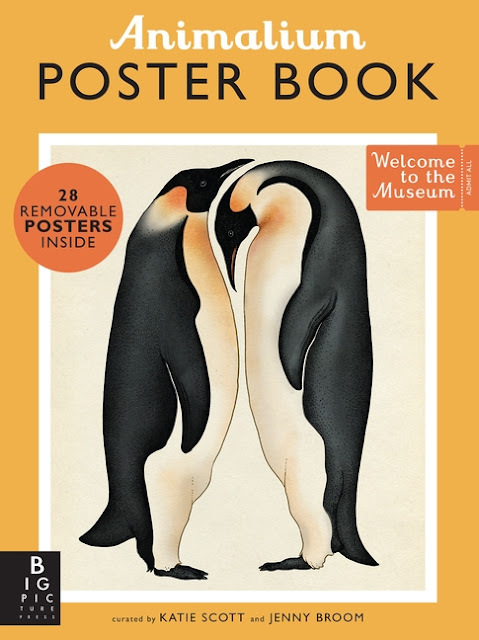 This book takes a look at different animals and their feet. From feet high in the mountains to very fast feet or perhaps those useful snatchy feet. Can you identify the animals that have these types of feet? 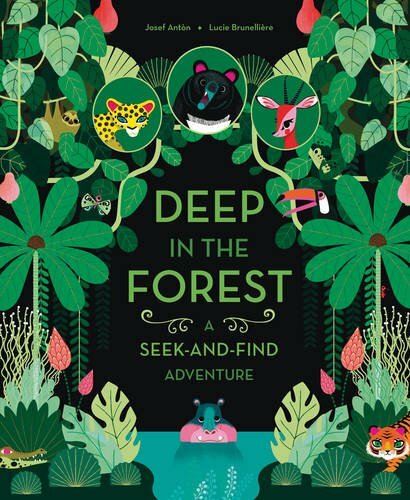 (Mountain goat, ostrich, and bat) This book is such a fun introduction to different animals from around the world. 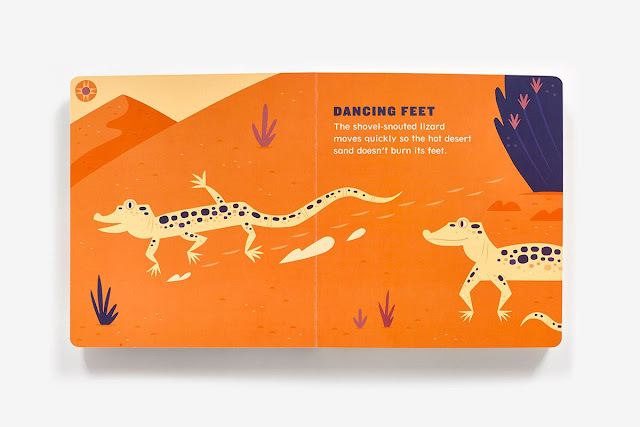 The last pages ask whether the reader's feet can do some of the things the animals' feet do. The illustrations in the book are colorful and fun. They will definitely hold a child's attention. I always love the board books that have a little more to them with the story and illustrations. 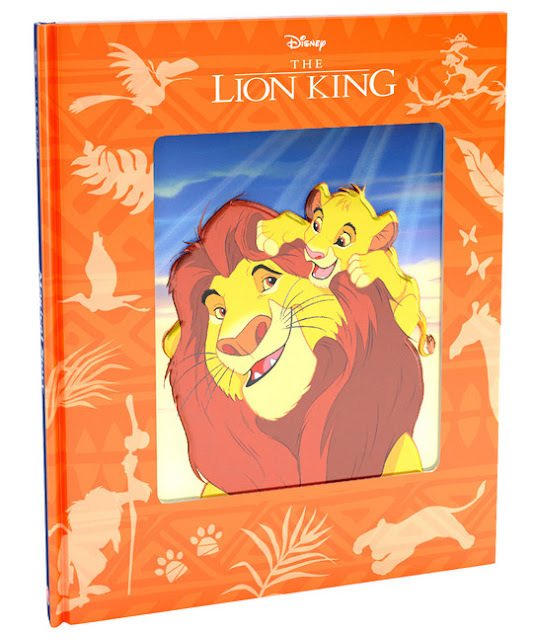 Our next book is Disney's The Lion King Magical Story. The story is basics of The Lion King movie. It of course shares the story of Simba and his coming of age and into his role as king. What makes this version special is the embossed tin picture on the cover. Having had a cat named Simba (as a kitten his double paws seemed to be lion's paws), I have always loved The Lion King. 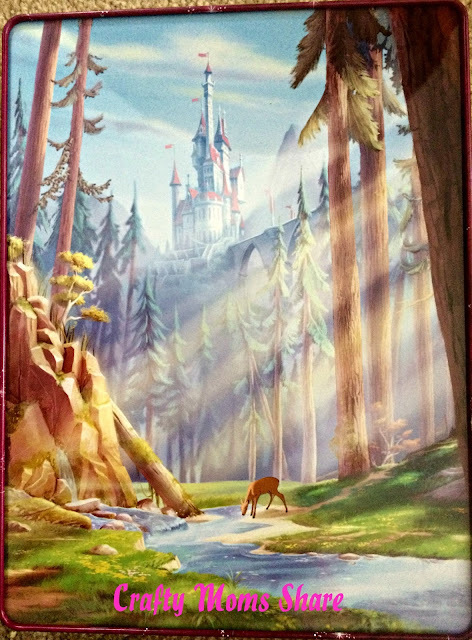 This book is a fun version of the Disney story. Our final product for tonight is the Disney Princess Beauty and the Beast Collector's Tin. 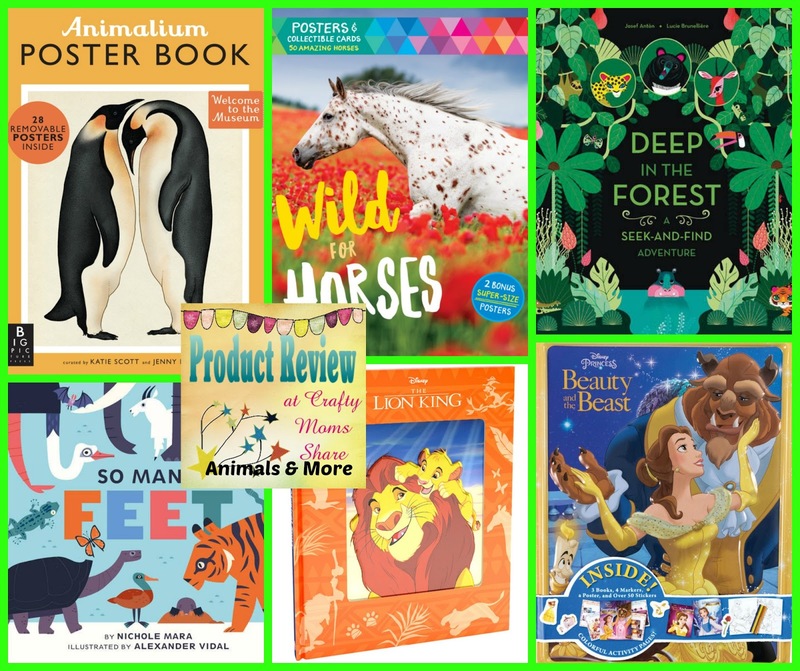 I know it is not really an animal book but it came with The Lion King book this month, so I am featuring it here. The tin itself is beautiful. The front has a picture from the movie and the back has this beautiful scene. 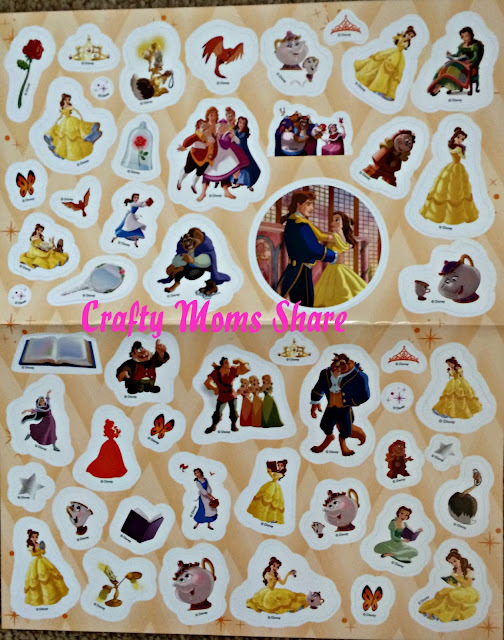 It is perfect for using magnets or stickers to add to the scene or tell a story. Or perhaps for the background to a puppet show. 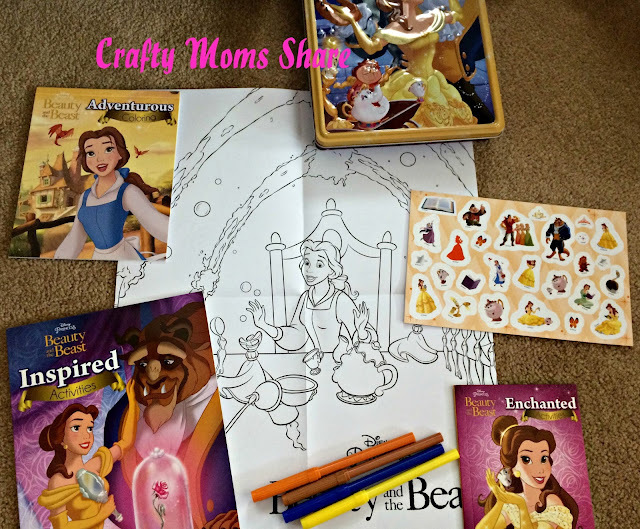 Inside the tin is a double-sided color-yourself poster, three activity books, stickers and markers (so you can do the coloring and activities). 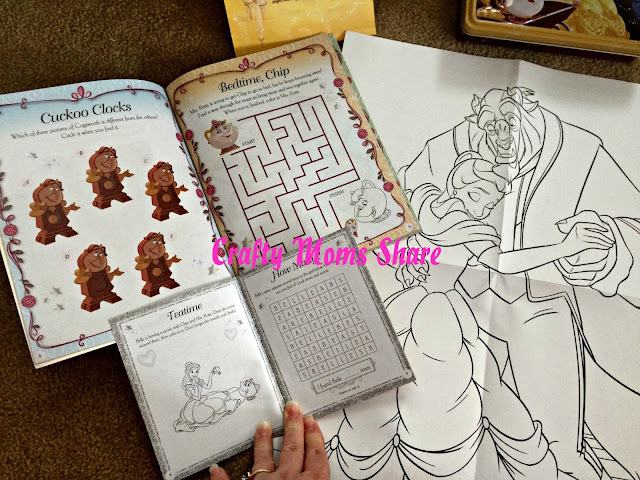 One of the activity books is a coloring book and the other two have various activities and puzzles. There are also a double page of stickers with the characters and items from the cartoon movie. This is Hazel's favorite part of the tin besides the tin itself. She loves stickers. 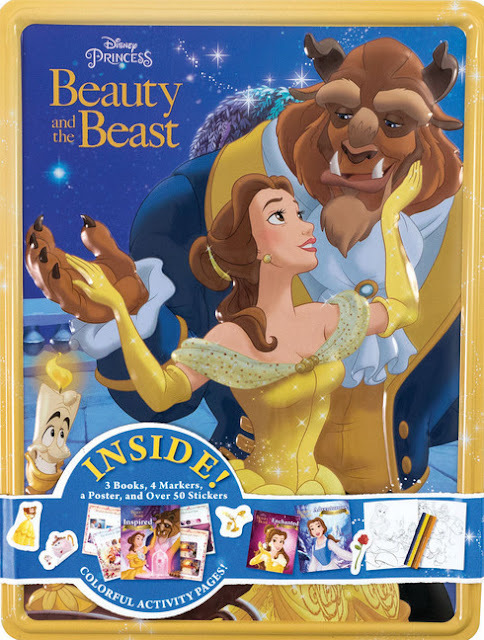 This tin was released with the live version of Beauty and the Beast movie. We have not seen it, but I have heard there are some scary parts, so we will stick with the animated version. Have you seen the new one yet? What did you think? 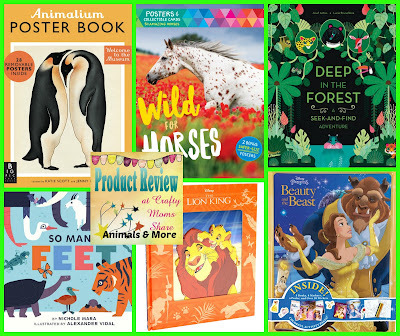 So these are our picks of animal books for tonight. I hope you will check them out! !